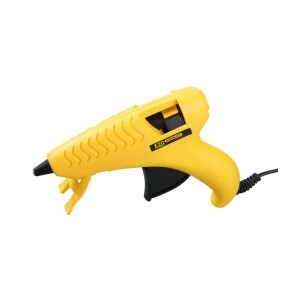 Features of GR20 Glue gun.Quality engineered for reliable performance. 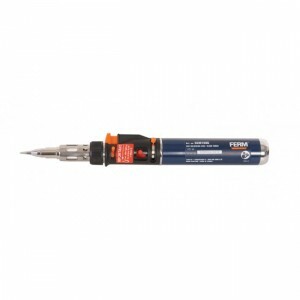 Trigger-feed mechanism controls glue flow. Heats up quickly and bonds within 60 seconds. Uses standard hot melt sticks. Fold-out stand for safe, handy storage while in use. 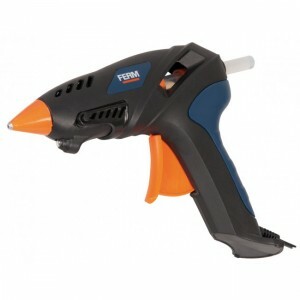 Quali..
Ferm GGM1002 Glue Gun 16WDelivered with round nozzle, flat nozzle and glue sticks.Adjustable stand for hands free heating and storage .Lightweight glue gun for all kinds of (decorative) glueing jobs.Provided with LED light to lighten up your work pla..
FeaturesEquipped with work light to lighten up your workplaceLess than 1 min. 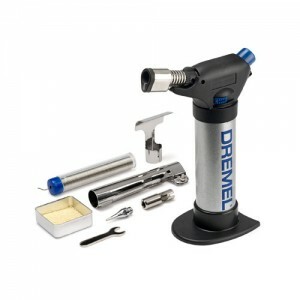 heating timeDurable solid housingSteady stand allows hands free working and safe heating / cooling down Specifications Mains voltage 230 V Frequency 50 Hz ..
For precise soldering, shrinking, hot cutting, lighting your barbeque and fireplace, for kitchen use etc. . 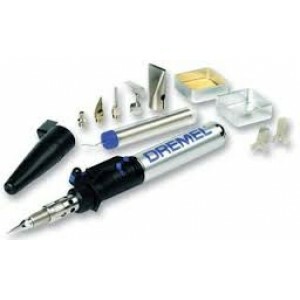 Storage box for clean and protective storage of machine and accessories. 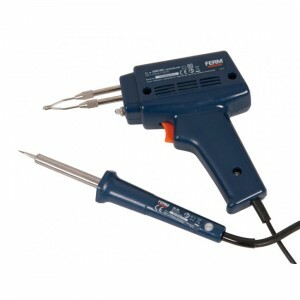 This soldering gun uses standard lighter gasSPECIFICATION : Type..